Fits most pencil-style condenser and dynamic handheld mics. 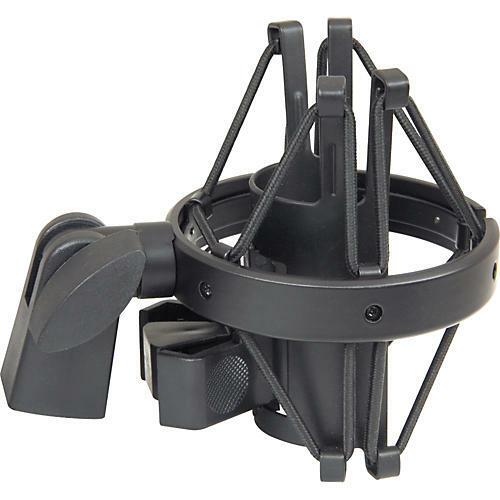 The MY-420 is ideal for the stage or studio and fits most pencil-style condenser microphones, most dynamic or condenser handheld mics and some cylindrically-shaped ribbon mics. Features a symmetrical shock-mount design, an angle adjustment with locking knob and a pre-tested suspension cord with expandable woven jacket. Black powder coat finish. Applications: Pencil-style condenser mics, dynamic or condenser handheld mics and some cylindrical shaped ribbon mics.